Forrest Little's Julie McCarthy added a 72 to her opening 79 to edge out home hope Ciara Casey by a stroke for the 44th Hermitage Ladies Scratch Cup and her second big win in the space of a week. Ciara opened with a fine 72 but a 78 after lunch forced her to settle for second on 150 with Malone's Louise Coffey taking third. 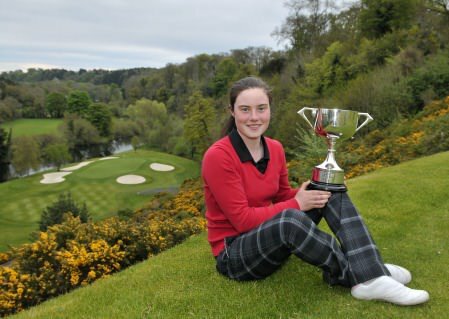 It was a second success in the space of a few days for Julie, who won the girls' title in the Faldo Series Ireland Championship at Lough Erne last week.